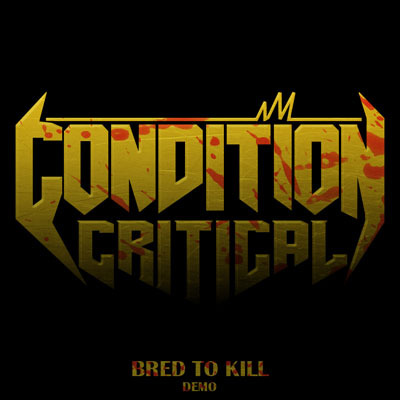 Hitting metal fans from New Jersey, Condition Critical are a breath of fresh air in the "new wave of thrash metal" scene because they're a touch more aggressive than their peers. Playing their freshman release entitled Bred to Kill, summons feelings of the small, yet impressive, brutal thrash movement that arose in the late eighties and into the early nineties as the subgenre was on its way out of the mainstream. Although Condition Critical aren't explicitly unique in their adaptation of thrash metal, they do everything the subgenre requires with ease--nothing more, nothing less. Bred to Kill is in fact a demo, but it sports a squeaky clean production not unlike that of bigger acts signed to major record labels. 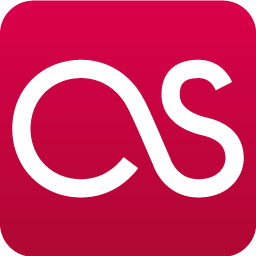 Despite that, it doesn't have the sterility and characterless digitalism typical of those kinds of bands, shedding a perception of "fake" musicianship. Condition Critical's music is overly aggressive, and, when paired with the production, parents a hard hitting atmosphere, surely the delight of every headbanger across the globe. The band's influences are no secret, and Demolition Hammer's patented sound is alive and well; yet Condition Critical aren't an exact clone as I've seen posted around cyberspace. They retain a slightly different sound, which I'd wager is due to the vocals, production, and their aptitude to cram hundreds of riffs into each track. If you like riffs, this will be your oasis. In all sincerity, there isn't a bad track on this record, but a morsel more originality is definitely welcome as they develop their sound and begin to release additional material. Don't misread me: I'm very happy with what Condition Critical has brought to the table with their freshman effort because it's literally what I could have walked into a record store in the late eighties early nineties, nabbed off the shelf, and shoved into my CD player. I still proclaim the band as a breath of fresh air in the scene because they're extremely similar to Demolition Hammer; I just look forward to what they have in store for listeners in the future in terms of development. Mixing the thrash pot isn't a bad idea. I know Condition Critical will concoct something absolutely monstrous. Listen to Bred to Kill here.